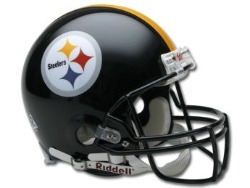 Who will win Super Bowl XLV, the Green Bay Packers or the Pittsburgh Steelers? Vegas gives the Packers a slight edge but most people think it could go either way. Last year after winning my Social Media Super Bowl the New Orleans Saints went on to win the actual game. 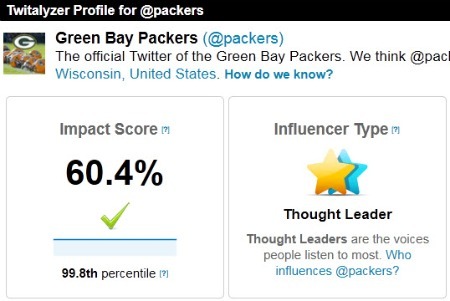 So this year I thought I’d do a similar competition by comparing the official Twitter profiles of both teams. Will it predict the winner of Super Bowl XLV? Who knows, but I like looking at sports and social media signals and the Super Bowl offers a good analogy for comparing teams. The figures referenced below are accurate as of February 2, 2011. Ok, let’s move on to the opening kick-off. It’s worth noting that both teams’ followers are significantly up since the beginning of the season (see: The Most Popular NFL Teams on Twitter and Facebook: 2010 Season). In fact to my knowledge the Steelers didn’t even have an official presence until recently so that shows how quickly they’ve grown their reach. One negative for both teams: neither is particularly interested in following others. We’ll call that a turnover by both sides. The level of activity is pretty similar for both teams but that giant peak for the Steelers gives them the edge. At halftime the Steelers are up but it’s a close game. Let’s see what the Packers can do in the second half. 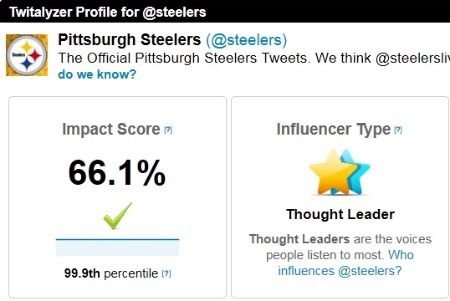 See my post on the Twitter impact of news sites for an overview of how Twitalyzer calculates its Impact scores. The game remains tight but the Packers can’t seem to close the gap. Once again the Steelers beat out the Packers in a close competition. So that’s it. The Packers scored well and the teams were closely matched, but the Steelers win all four quarters to become Super Bowl XLV Champions – at least based on Twitter signals. Now let’s see if the social media winner becomes the real Super Bowl champion for the second year in a row.